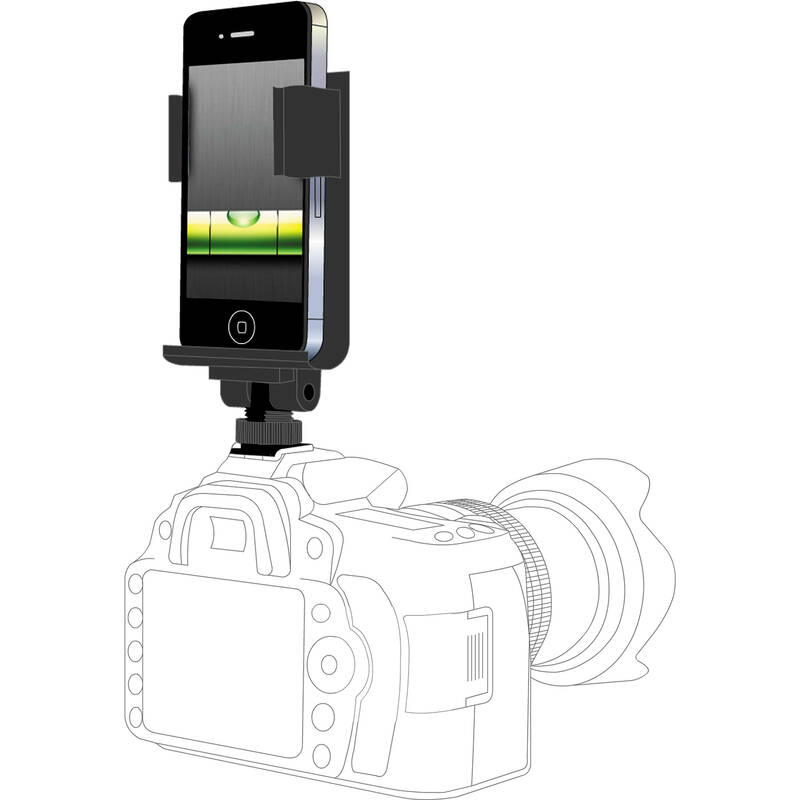 The Flash Dock from PocketDemo is a great way to unite your iPhone, or any similarly sized smartphone, with your DSLR camera. The case is designed to hold your smartphone and attach to the hotshoe on your camera. This allows you to take advantage of the wide range of photography-related apps out there via your 3G, 4G, wireless or Bluetooth connections. While the hotshoe is only used for holding the adapter, once attached you can reap the benefits of combining your DSLR and smartphone capabilities. Geotag photos with the same GPX files your smartphone apps use. Share photos through social media channels, text messages or via email. Or even use an app to calculate the light meter reading, depth of field, and level your camera to the horizon. Box Dimensions (LxWxH) 9.4 x 6.2 x 1.1"
Flash Dock Hotshoe Adapter for Smartphones is rated 4.0 out of 5 by 2. Rated 3 out of 5 by Golf Pro from Good but not great! Does what it says but doesn't hold any attachments to the phone. I had trouble with this when having a microphone attached to my phone. If using your phone for lighting only then works very well! Will this fit iPhone 6? Can the clips on the side expand to fit a phone that is about .5 wider? This would work with the iPhone 3G - iPhone 3GS - iPhone 4 - iPhone 4S - iPhone 5 - iPhone 5S - iPhone 6 - Samsung Galaxy S4 - Samsung Galaxy S5 - Samsung Galaxy Alpha - most Android &amp; Windows Phones Smartphones except Phablets.